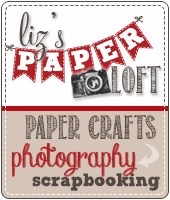 Liz's Paper Loft: MCT June Release Sneak Peek Day 4 ~ just for you! Aren't they fun! 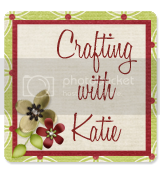 This card was so quick and easy to whip up...perfect for that last minute gift. I used the Stitched Square Die for the front and the inside of this card. 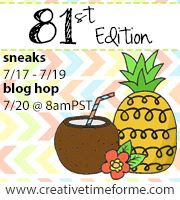 See you tomorrow for the blog hop and more creative goodness!! The circles stamps make such a nice pattern. How fun is this??? Love all those colorful circles against that black! So fun and so awesome! 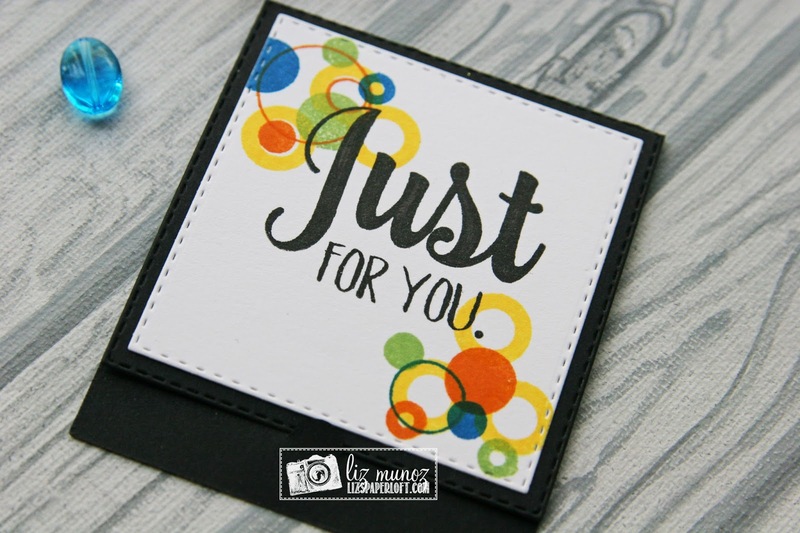 Oh My Goodness Miss Liz...Your little Note Card Adorable...Love LOVE how your stamped little circles and spots look...love the colors!! you sure did a SPOT ON stamping job..and what stunning look against the black. 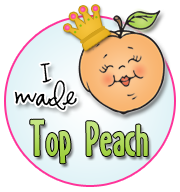 You so did a super outstanding creative job!! YOU so ROCK!! Love the colors and use of the circles. Adorable, Liz! Your little clusters of circles are so cute on this card! Oh my goodness! Love the bold colors!! The little circles are just adorable! Such fun! Thanks! 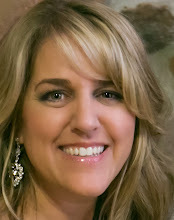 Love your sweet little note card! So fun and colorful! Very cute with the colorful circles. I saw a clown in the bottom circles. Love the way things happen. Love the bold colors you used against that black base! So fun! 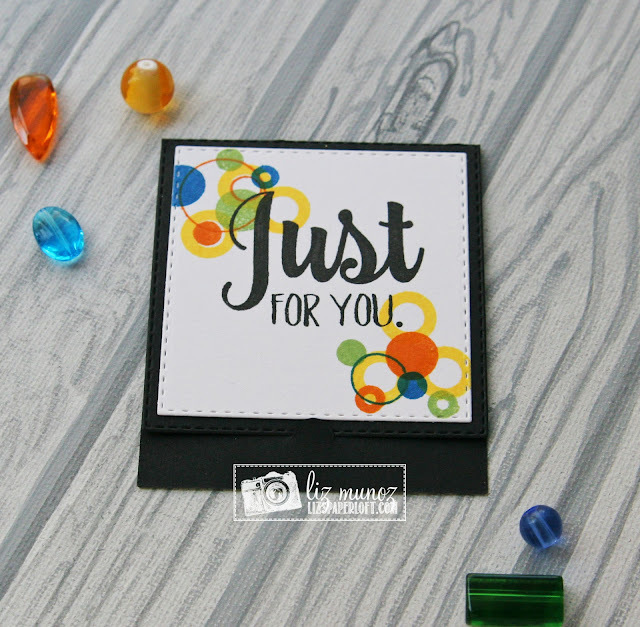 Love the circle stamps you used! Love all the circles,and their fun colors. Love your little note card. What a gift you have for placing things together. Love the use of the polka dots. What vision! Your card is fabulous! 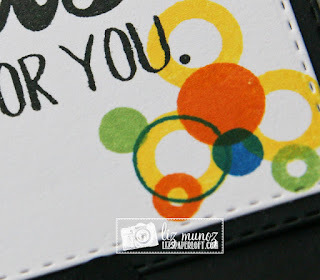 Well done - love how you matted the front of the notecard and used the circles in neat colors. An eye issue + 'doctor's orders' have made computer-time extremely limited this week, but I'm sneaking in to tell you I adore all your showcases this week. Today's little notecard: crushing all over how sweet, fun, fresh and colourful it is! 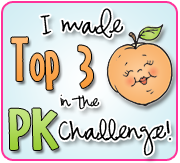 You can already guess what's #1 on my shopping list! Love your little notecard! Also, love how you used the circle stamps! Looks awesome! I loVe how you used the circles to decorate your sweet card. Thanks for sharing.